The Seleção and the coaching team took a flight to Rio de Janeiro yesterday, with a stopover in Madrid where some of the players stayed. 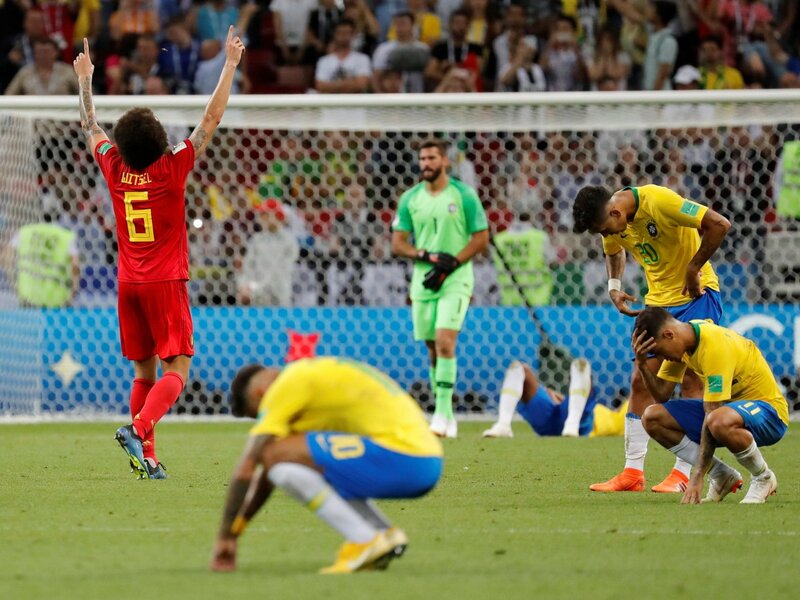 RIO DE JANEIRO, BRAZIL – After the Friday, July 6th devastating 2×1 loss to Belgium, Brazil has been dealing with disappointment as their 2018 World Cup dreams were dashed. Brazilian striker Neymar said yesterday (July 7th) that he is living the saddest moment of his career, and the team left Russia last night. At the end of the match, Neymar declined to give a statement to the journalists who followed the team’s exit of the stadium in Kazan, Russia, photo internet recreation. At the end of the match, Neymar declined to give a statement to the journalists who followed the team’s exit from the stadium in Kazan, Russia. However in a message recently published on Instagram, he gave his first public comment. “I can say that it is the saddest moment of my career, the pain is very great because we knew we could get there, we knew we had the conditions to go further, to make history, but it was not this time,” said the Brazilian star. Earlier in the morning yesterday, Brazilian players left the hotel where they were staying in Kazan. The Seleção and the coaching team went to the airport where they boarded a flight to Rio de Janeiro, with a stopover in Madrid where some of the players stayed. Those returning to Brazil included Coach Tite, who in an interview upon arriving thanked the support of the fans. “I just [wish] to return the affection that they are giving us. I want, from the heart, to return to them all and to thank them. Thank you, thank you,” repeated the coach. Arnaud Bughon, a French expatriate and owner of luxury real estate agency Rio Exclusive is in Russia this month with his new venture Sports Exclusive, and shares his sense of Brazil’s loss. “The Seleção did not manage to overcome the huge pressure. As they were considered favorites, they have created a lot of expectations among the Brazilians for months,” Bughon said. Bughon is encouraged and optimistic about the Russia World Cup organization, and of course France is still in the running and face Belgium in the Semi Finals on Tuesday, July 10th at 3PM local Rio time. England will also be facing Croatia on Wednesday, July 11th at 3PM local Rio time, and the winner of each game play in the Final on Sunday, July 15th at 12 Noon local Rio time. I am Pakistani, great fan of Brazilian team like billion others. I’m sorry to say that Neymar played vital role in defeat as he played individualy where you need team work. Look he is trying to dodge three players (quite difficult) rather than to pass the ball to its fellow players. Secondly his out of D and Corner hits were not commendable. He proved more big name rather than work.